This beer was the start of my all Allagash week. It was a brewery only beer with a release on a Saturday morning. The release party was a lot of fun with cherry pie eating contests, pit spitting contests, cherry muffins and of course beer. 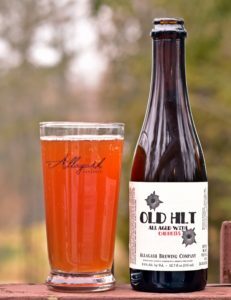 If you have never been to an Allagash event keep an eye on their Facebook page and Twitter feed as they do a great job. The bottle is small – 375 ml – cork and cage, barely more than a glass full. Appearance is a cherry red with single finger off white head. A fair amount of carbonation and decent retention make this a nice a looking beer. Aroma has some funk and a slightly sour smell – not overwhelming and pleasant. Taste is slightly sour with very little funk, I was hoping for a bit more in the taste. Alcohol is there but there is no burn. 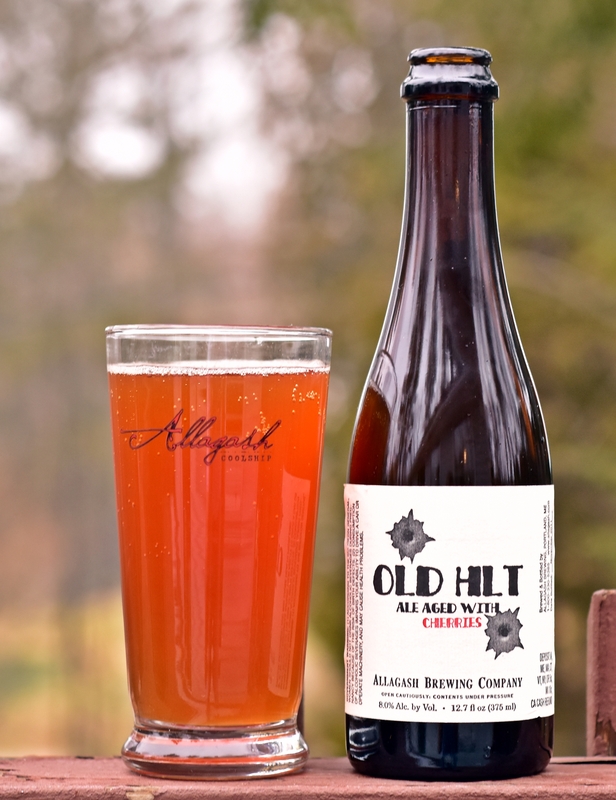 Overall I am pleased with the beer but there are others from Allagash I enjoy more than Old HLT. Glad I had the opportunity to try it but it is not a beer you should go out of your way to obtain through trades.